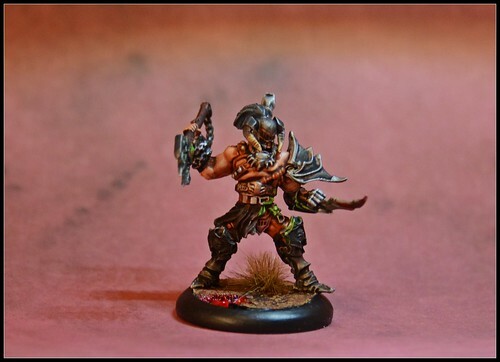 The result of the weekends endeavors at the painting table was another of the Warmachine tactics exclusive sculpts completed. This one worked out really well, and was again a wonderful sculpt to paint up. The folks at Privateer did a great job with this series. Aiakos here was going to another member of our gaming group, so painting a model that I know is going into someone else's collection usually motivates me to get to a higher than average standard. Pretty happy with how he turned out! Next up is probably the Khador sculpt.